Twists are some of the most cleansing poses in a yoga practice. By twisting to the right or to the left, we wring out our inner organs like wringing a dirty sponge. When we breathe into these poses it’s as if we were running fresh water over the wringing sponge. The result is a very, very clean sponge. Imagine how that can help your inner organs. And imagine how that can improve your lungs and your perspective on life! 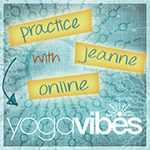 This practice moves students through a flow practice that gradually deepens our twists. Some poses will be held for a minute or longer, which positively affects your Energy Body and ripples into calming the mind. The class will also contain Pranayama and Tantric Meditation. All levels welcome, basic yoga experience is beneficial. Backbends are considered some of the most exciting, adventurous and captivating parts of a yoga practice. They can also be scary and harmful when not practiced with awareness. Learning good alignment and how to do a pose safely is one aspect. Learning how to breathe into a backbend is another important aspect to ensure that your pose not only blooms beautifully, but that you can truly feel the opening in your heart. Through a flowing practice we will immediately start to apply breathing techniques to access the inner heart. As we start to open, we will go into deeper backbends on the outside, while also moving deeper with our breath and Tantric visualizations on the inside. A special Tantric heart opening meditation will close the class. All levels welcome, basic yoga experience is beneficial. The main point in Tantra is to become one with the Divine, who is part of our life and beyond our life. In Tantra we weave different aspects of yoga into a whole practice to heighten the life experience. 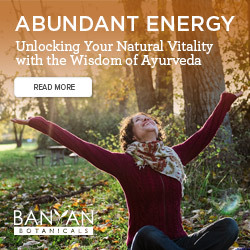 One of the main tools used in Tantra is energy. Energy is affected in how we use our breath, which part of the body we put our breath, and what are we doing with our body as we breathe. The result is feeling much more open, expansive and fearless in our life. This workshop will use various Tantric techniques to bring awareness to the Chakras and access this abundant energy. Friday: We learn about Tantra, what it is and how it evolved, dismantling the myths of sexuality to realize its sincere focus of devotion to one’s Higher Source. Tantra views each part of life as sacred, even the difficult. We will discuss techniques to access this view. Students will learn how to apply Bandhas, and the importance of Pranayama, Kriyas, Mantra and Mudra, which will be woven into the practices. The session will end with an asana practice, Pranayama and a Tantric mediation. Study sheets will be provided. Due to the attention on the inner world for this workshop, less attention will be focused on the form of the poses. Thus, students should have a good foundational knowledge of asana so that they can receive the benefits offered.